MY LABS FOR LIFE, LLC is owned and operated by Integrative Health Care Providers. We are advocates for the advancement of personal autonomy and self-determination with regard to personal health information and support the rights of individuals to be in control of their own health care. MY LABS FOR LIFE, LLC’s objective is to advocate for personal empowerment by promoting affordable, confidential and reliable, direct to consumer access to lab services for the consumer who is choosing an alternative resource to access personal health information. MY LABS FOR LIFE, LLC uses a direct to consumer approach, which means the consumer initiates management of their health and wellness concerns without a health-care provider’s face to face visit to obtain labs. The consumer requests the lab tests and pays up-front, without the involvement of third parties such employers or insurance companies, for services rendered. The benefits of direct to consumer access for lab testing include personal empowerment, confidentiality, convenience, cost savings and rapid turnaround time. Laboratory results will be mailed to the address provided by the consumer. 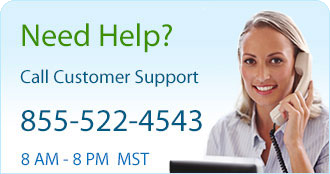 The consumer is responsible for any follow up. For additional confidentiality, results will not be accessible through the internet. MY LABS FOR LIFE, LLC labs are collected at designated draw sites, which uphold all CLIA, HIPAA and OSHA regulations with the highest standards in phlebotomy collections and laboratory processing. MY LABS FOR LIFE, LLC adheres to HIPAA for your protection and ours. Lab testing obtained from this website is strictly confidential. 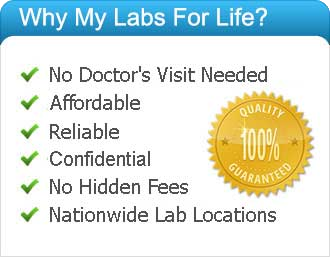 MY LABS FOR LIFE, LLC provides confidential clinical laboratory services promoting wellness, prevention and early detection of disease. Due to state billing laws, at this time, MY LABS FOR LIFE,LLC cannot provide services in NY, NJ or RI.